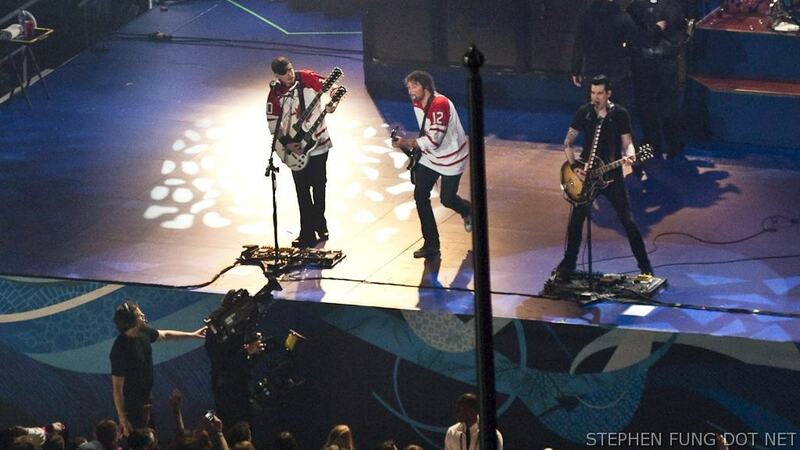 After Friday’s Victory Ceremony, Vancouver, BC’s own Theory of a Deadman took the stage to try and show us that they didn’t sound like Nickleback 2.0. 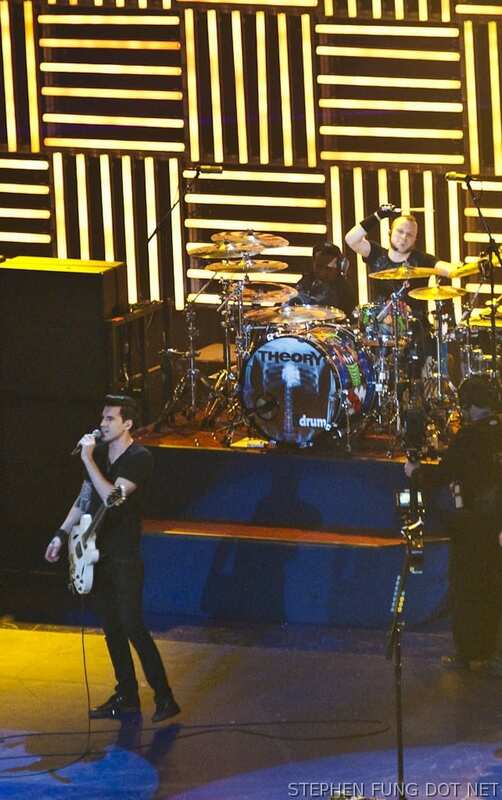 I haven’t listened to them since their first album and like many people, noticed that they sounded like proteges of Chad Kroeger. 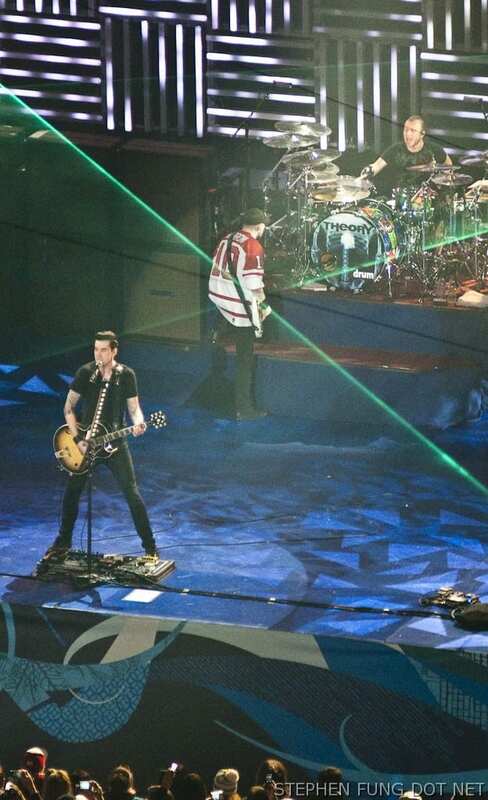 However, sounding like Nickleback isn’t a bad thing if it gets you signed to a big contract and makes you a ton of money. 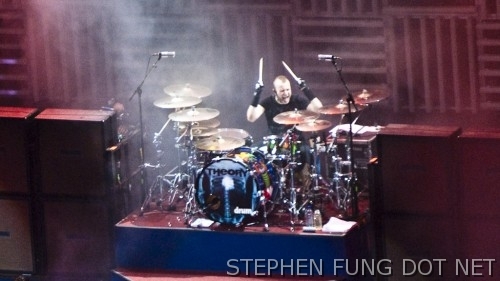 Although I was stuck in the very back row, I was able to fire off a few shots that turned out OK thanks to my Nikon 70-200 f/2.8. 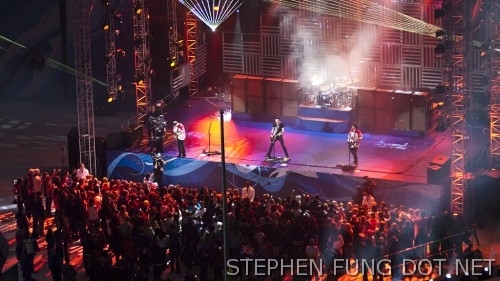 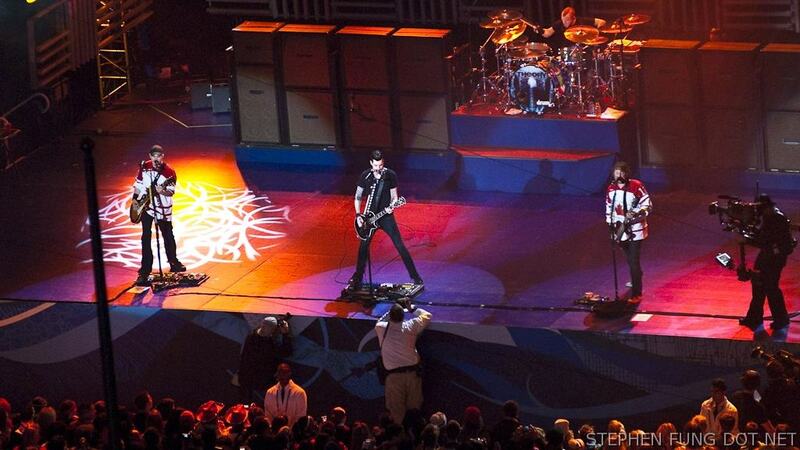 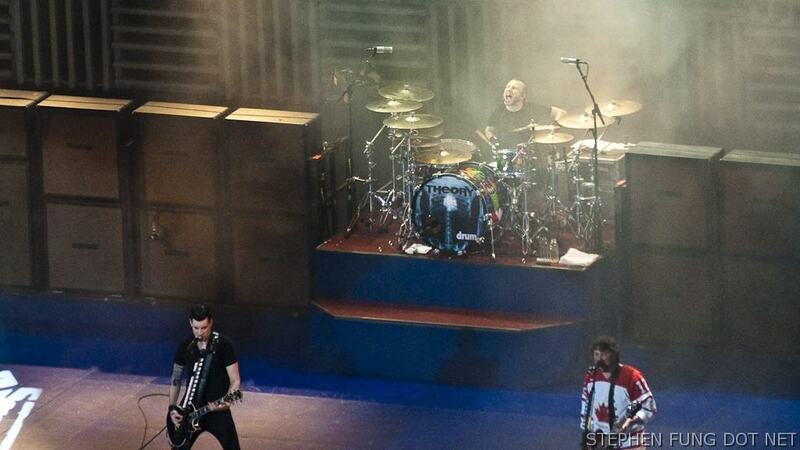 I was able to move down to the balcony for a few of the shots, but I was still nowhere near the band. 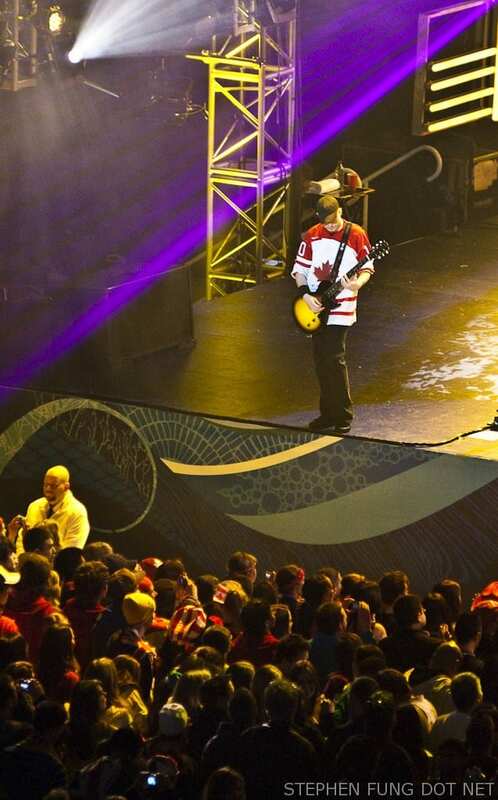 The 22 buck cheap seats just don’t give you that sort of access. 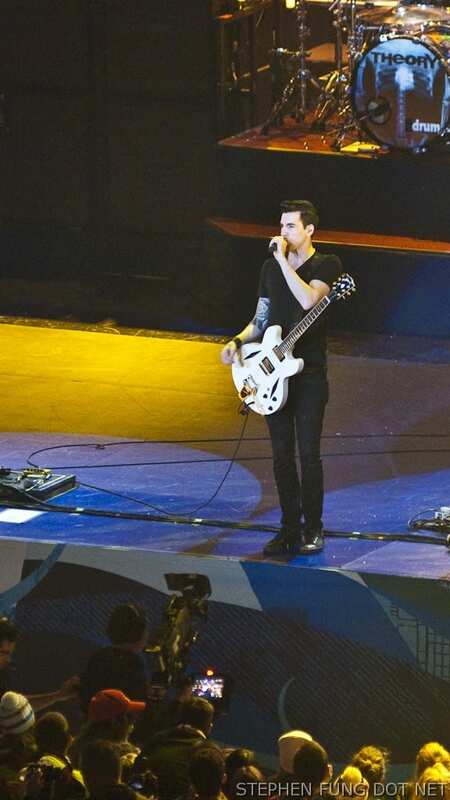 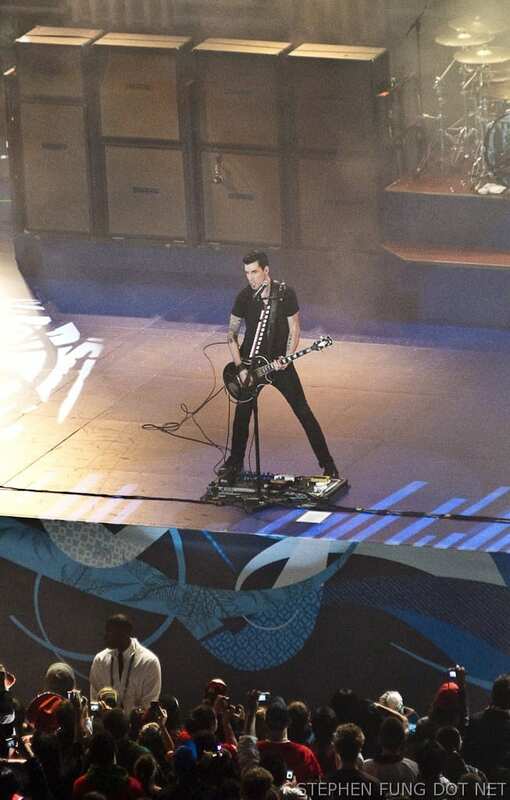 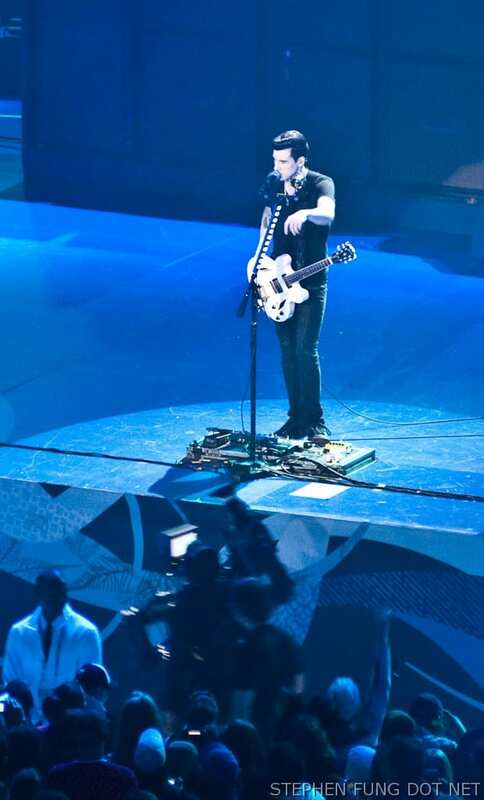 Unlike last Monday’s Victory Ceremony headlined by a guy named Gregory Charles, Theory of a Deadman managed to keep the audience from leaving en masse. They really started to gather a crowd when they started playing their more and more Nickleback-like songs. 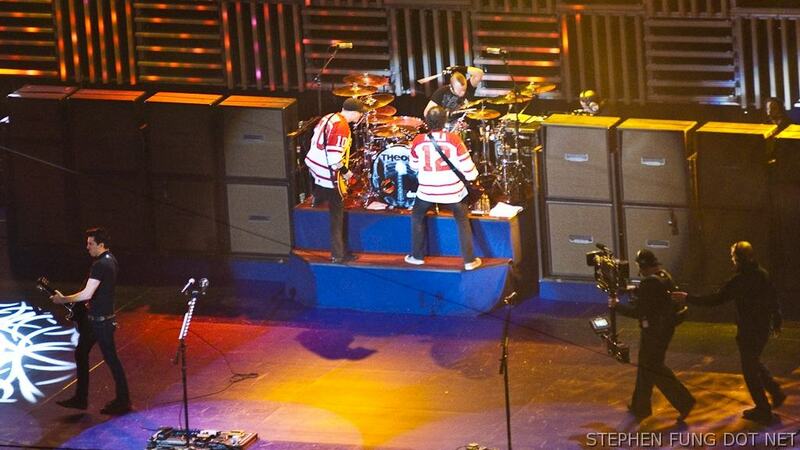 They even attempted to cover Gun’s and Roses “Paradise City” but they were just kidding. 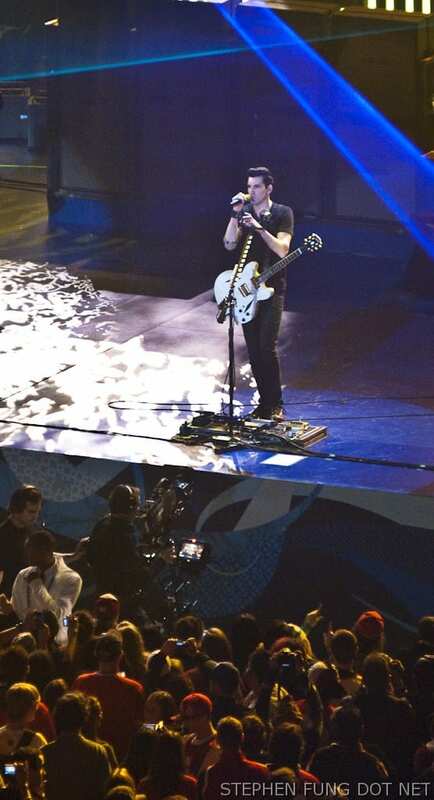 Of course the crowd knew all the words. 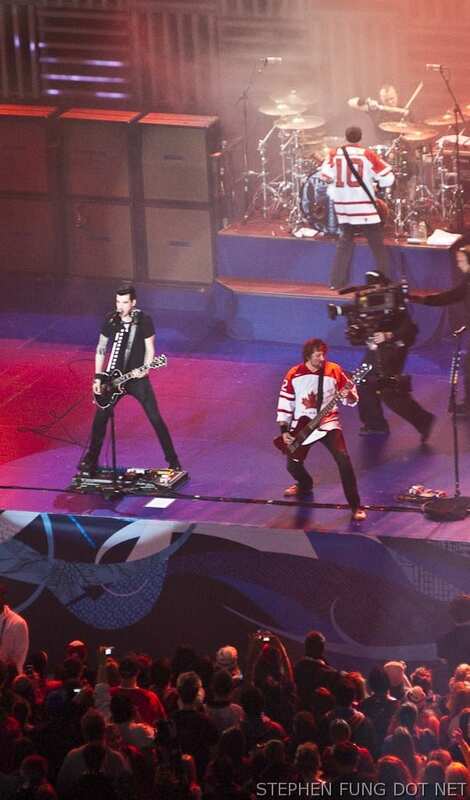 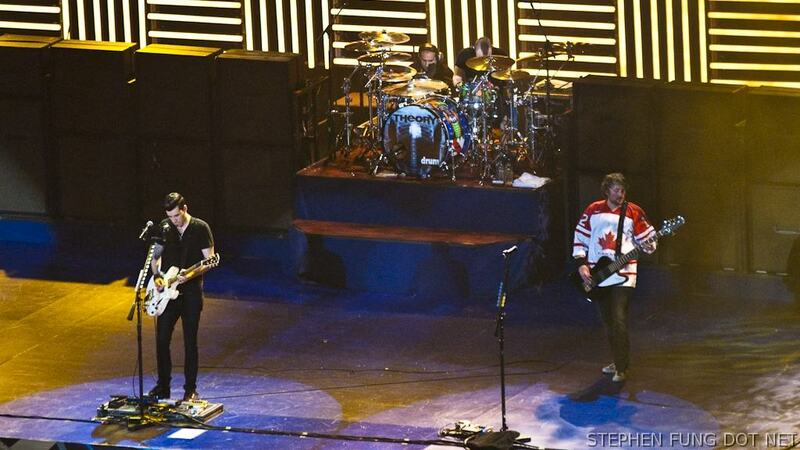 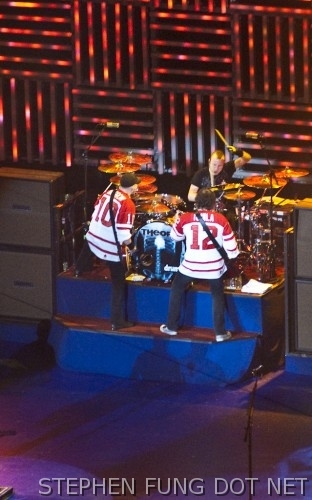 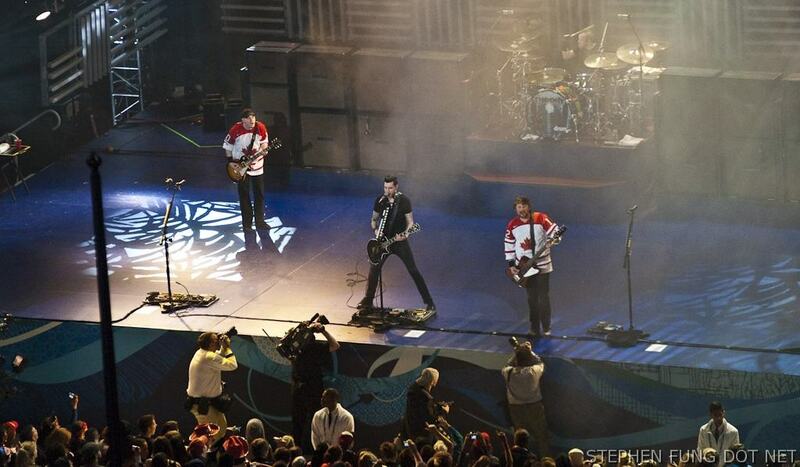 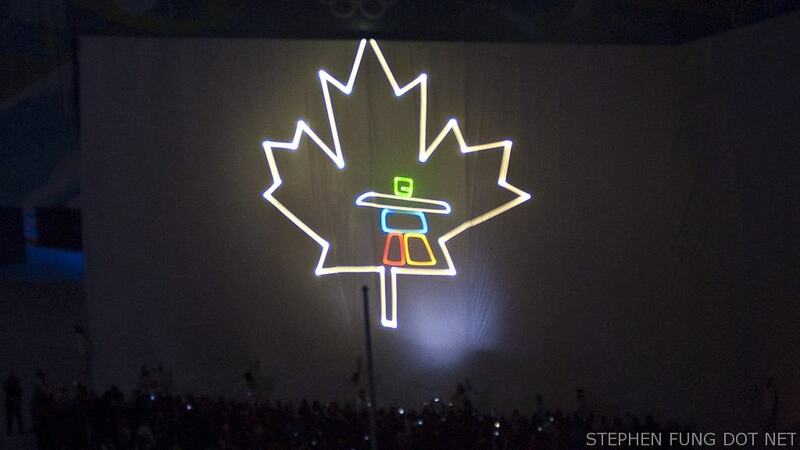 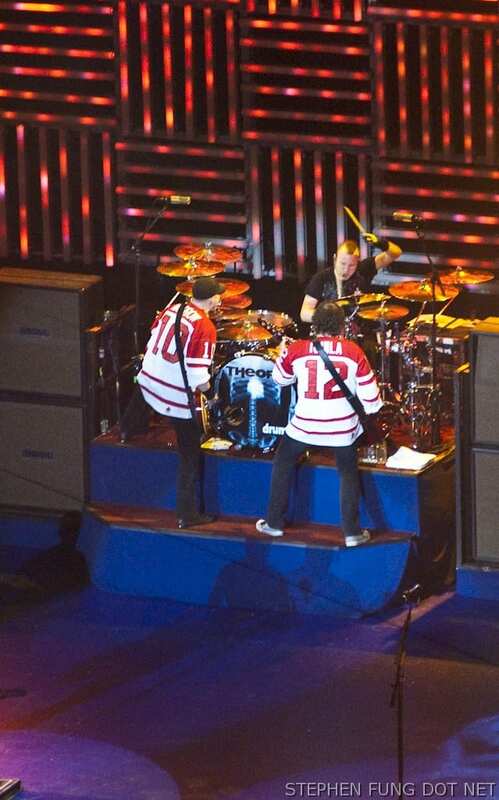 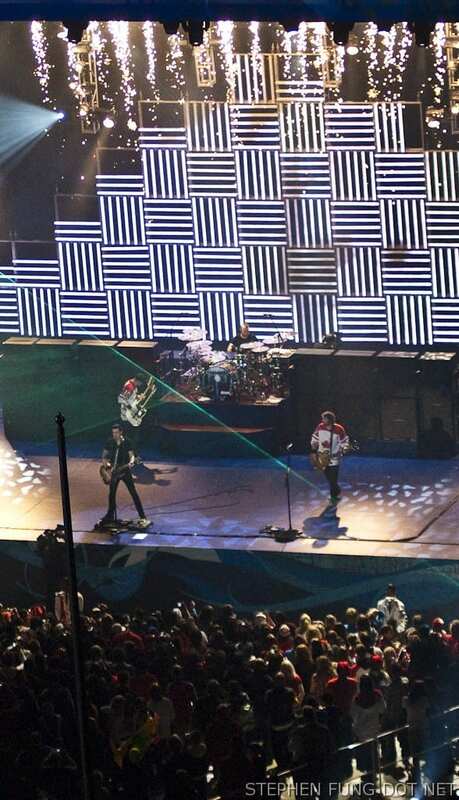 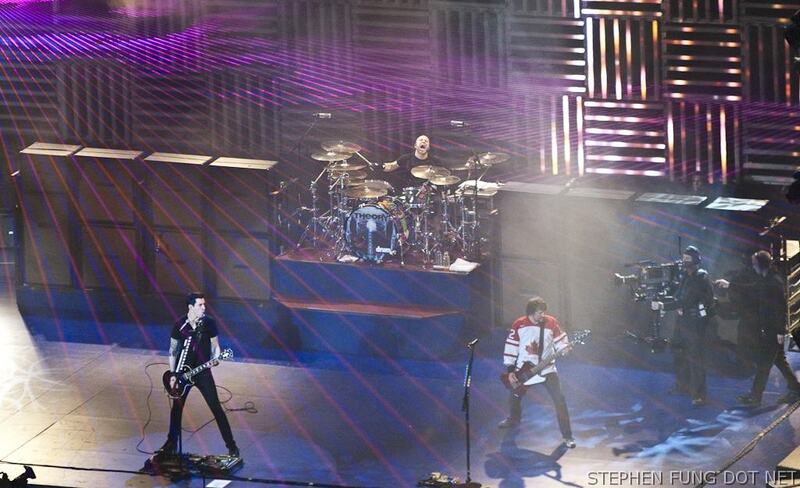 The band showed their Olympic Spirit by donning the Hockey Jerseys of their favourite Team Canada members. 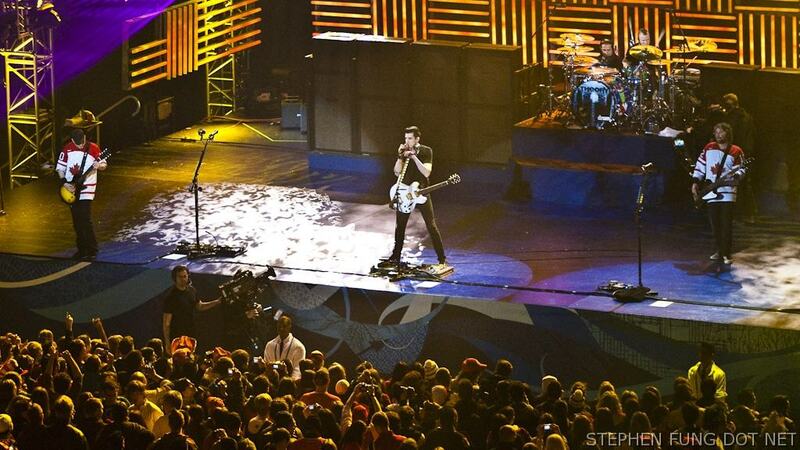 Overall, Nickle…I mean…Theory of a Deadman put on an excellent show for the masses. Of course, more pictures after the jump.